Day 1 – Get ready to start the safari part of your African adventure holiday! Set off in the capital Nairobi and get ready for some game spotting in a number of Kenya’s most famous national parks. Day 2 – 3 – First stop could be at the Masai Mara National Reserve staying in a traditional game lodge. Guides, 4×4 safari trucks and meals are normally all provided as part of the package. Day 4 – 5 Move on to Lake Naivasha to witness the remarkable sight of animals bathing in their natural habitat. Day 5 – 6 Next stop, Amboseli National Park with a few more game drives. This time it’s with the outstanding Mount Kilimanjaro forging part of a stunning backdrop. Day 7 – Continue on to Tsavo East National Park, for more game driving or if you’ve had enough, embark on the beach section of your safari adventure by heading to one of Mombasa’s white sandy beaches, located just two hours’ drive away. Day 8 – 10 A lots of safari trips take in the splendor of coastal Mombasa. Depending on how much time you have left, you can relax and explore long stretches of beach in the area. 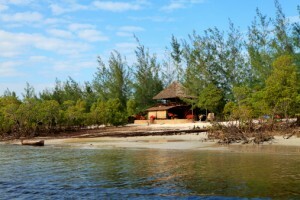 Popular options include Galu and Diani beaches. Supplement your Kenyan experience via snorkelling, swimming in the warm Indian Ocean and eating freshly caught seafood. Visit http://www.kenya-safari.co.uk for more Kenya holiday ideas.